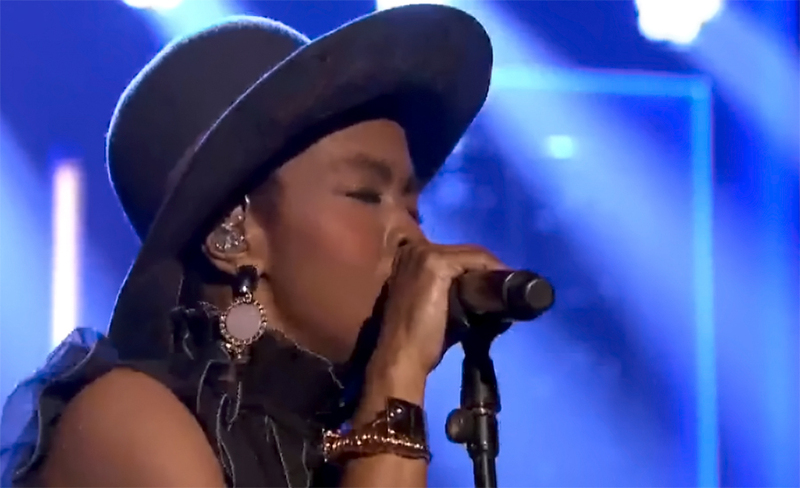 Lauryn Hill is music royalty. It’s only fitting that she would cover a song by another queen, Nina Simone. In this gripping performance, Hill sings one of Simone’s most famous songs, “Feeling Good,” a record of liberation and hard-fought optimism. Hill’s touching voice is on display as she begins the song a capella. She is soon joined by lush strings and horns, but Hill’s vocals remain the center of attention. The song is from Nina Revisited: A Tribute To Nina Simone (produced by Lauren Hill and Robert Glasper), the accompanying soundtrack to the documentary What Happened, Miss Simone? (available on Netflix).